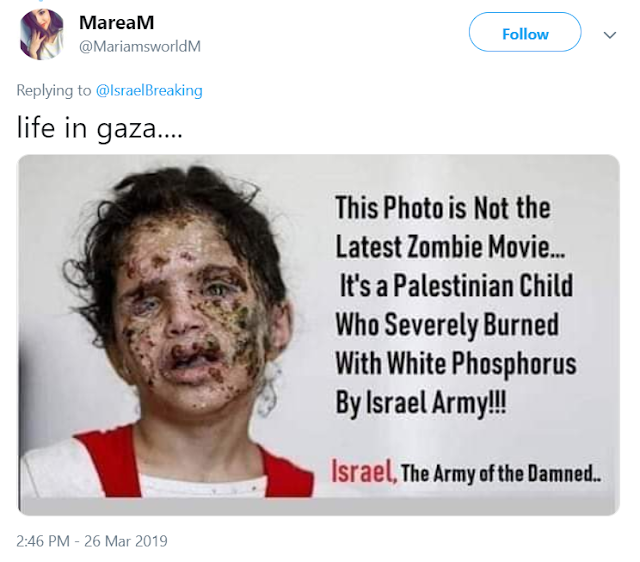 Jihad Watch : The tweet noted below has been taken down, but this image, with the caption, is still circulating: you can see it here on Facebook, where no one in the comments notes that the image isn’t of a “Palestinian” girl and has nothing to do with Israel. But it doesn’t. “War is deceit,” said Muhammad, and the “Palestinians” listened. I detail the extent of their deception machine, and how successful it has been, in my forthcoming book The Palestinian Delusion: The Catastrophic History of the Middle East Peace Process, which you can preorder here.